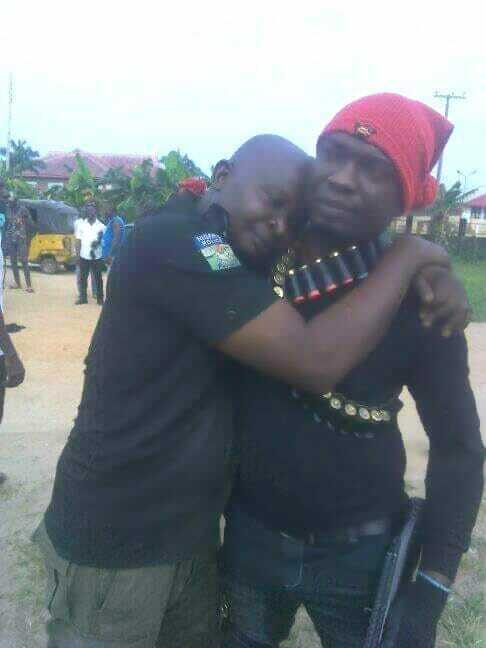 A policeman couldn't hide his joy as he gave a vigilante officer a warm hug for rescuing him from kidnappers. A Nigerian Police officer has hugged a vigilante member appreciatively to thank him for saving his life. 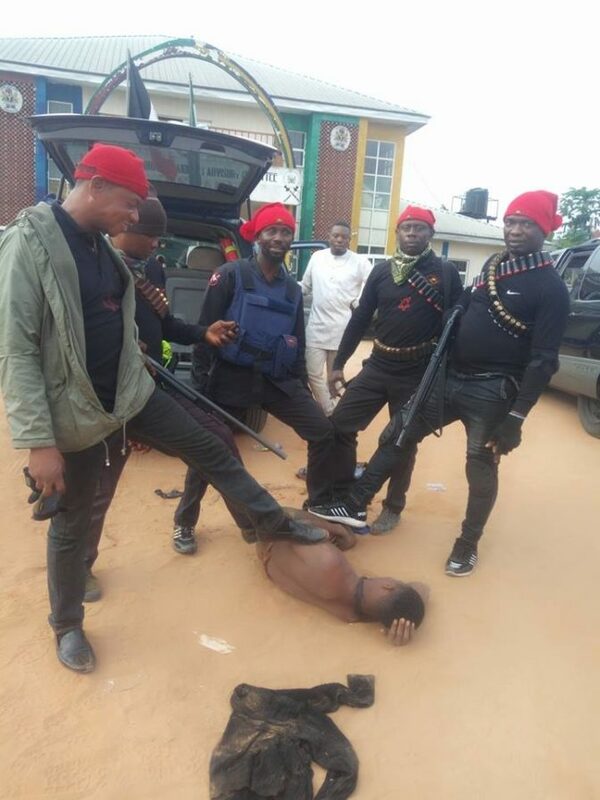 It was gathered that an OSPAC (local vigilante group) member in Ogba Egbema Ndoni Local government area of Rivers state helped rescue the policeman and others from abductors in Rivers State. 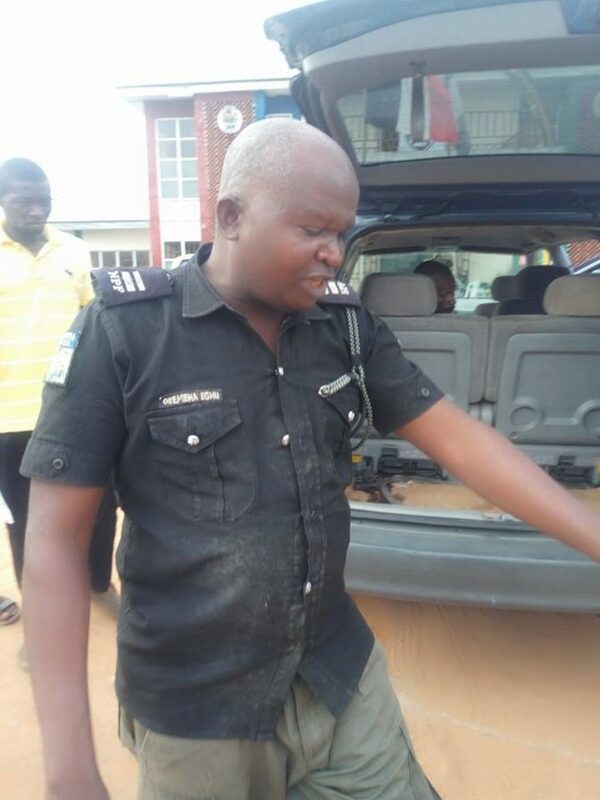 They also arrested a young suspect in the process after his charms failed him. The rescue was made possible after the security agents had engaged the criminal gang in an intense battle.